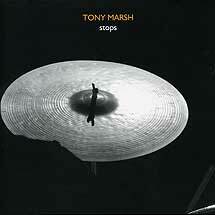 Tony Marsh, percussion; Veryan Weston, church organ. Recorded at St Peter's, Whitstable: Stop time 1-4 (TM solos) on 14 July 2009; other tracks (duos) on 7 August 2009. Cover photograph (reproduced above) by Caroline Forbes.